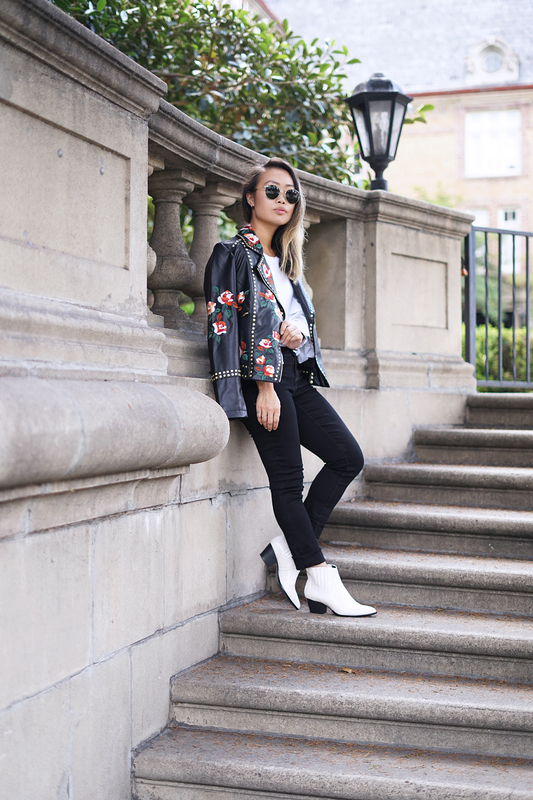 There are plenty of collaborations out there but what I am most excited about this season is the INC International Concepts collaboration with designer Anna Sui. 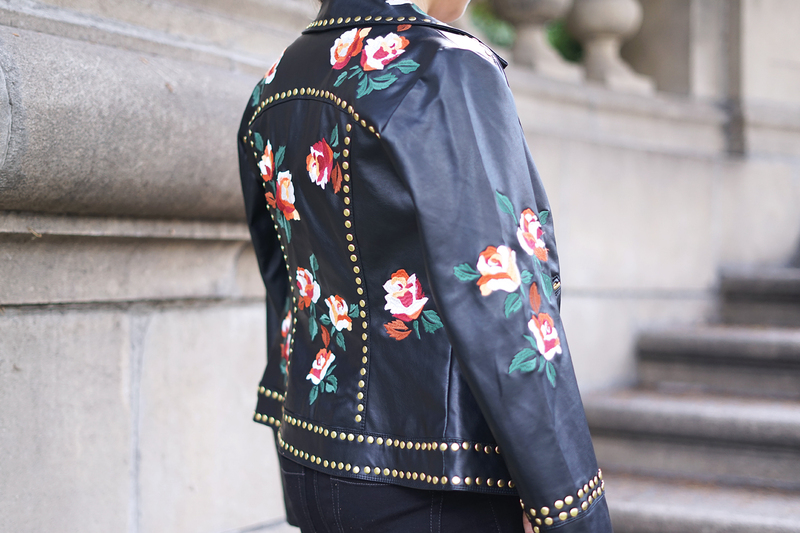 Think really classic pieces with a twist and touch of flirtiness and quirkiness that is Anna Sui! 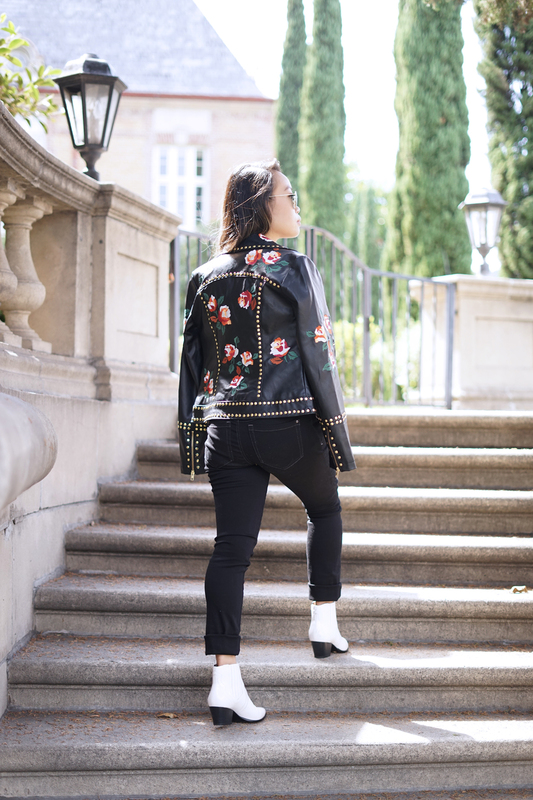 The entire collection is amazing but here I am rocking my favorite pieces... A classic white tee with voluminous ruffled sleeves, black skinny jeans, white booties, fringed bag, and this showstopping studded and floral embroidered leather jacket. 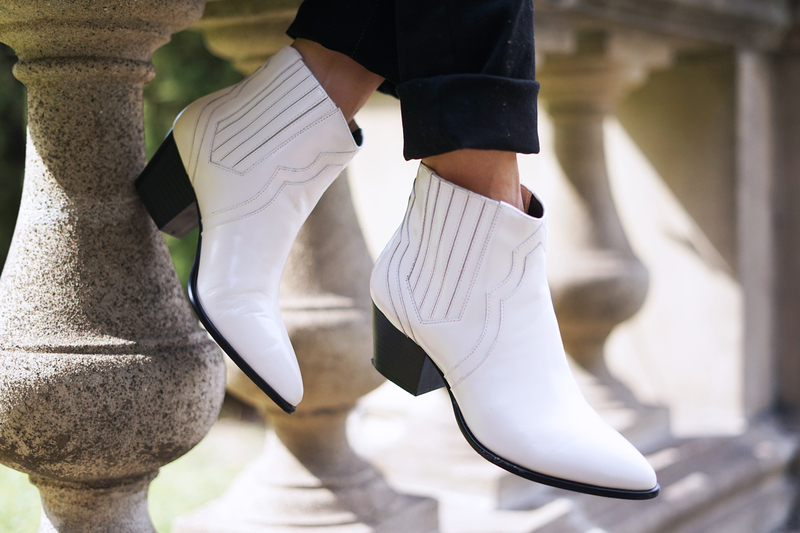 Yes, it's been a really hot week here in Los Angeles (September in California is a killer) but that didn't stop me from rocking these pieces out and about! 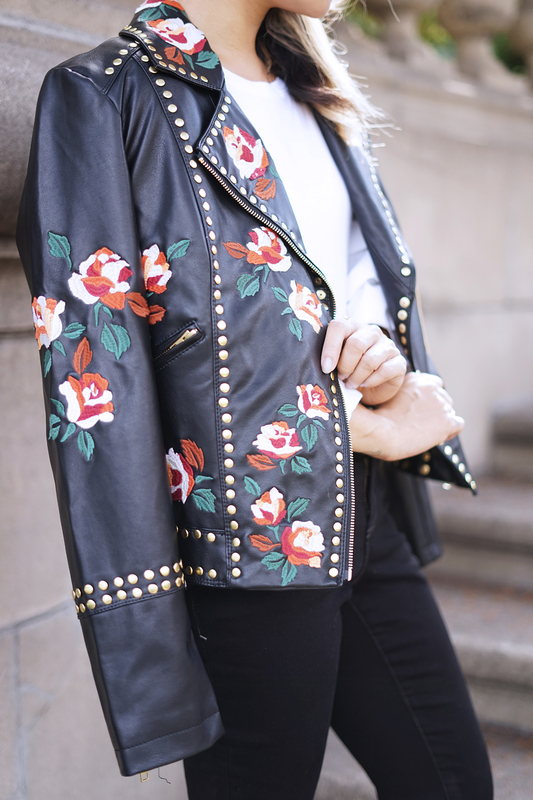 Studded and floral embroidered leather jacket. 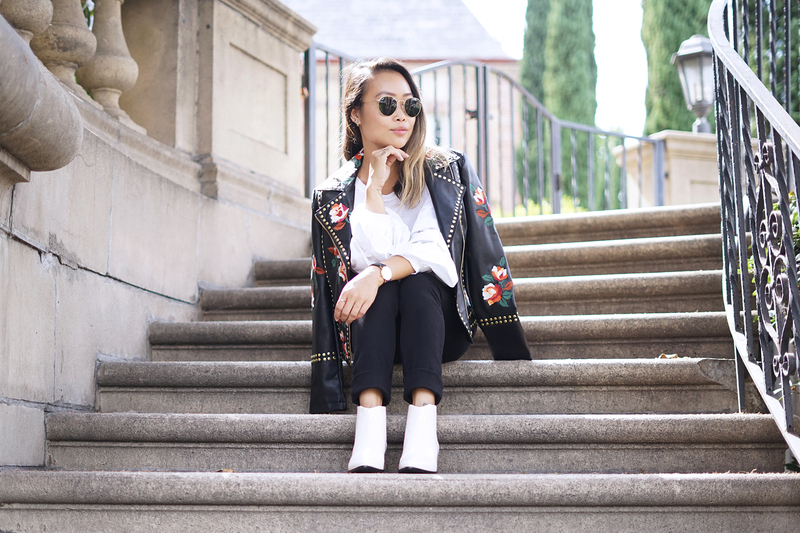 White tee with ruffled sleeves. 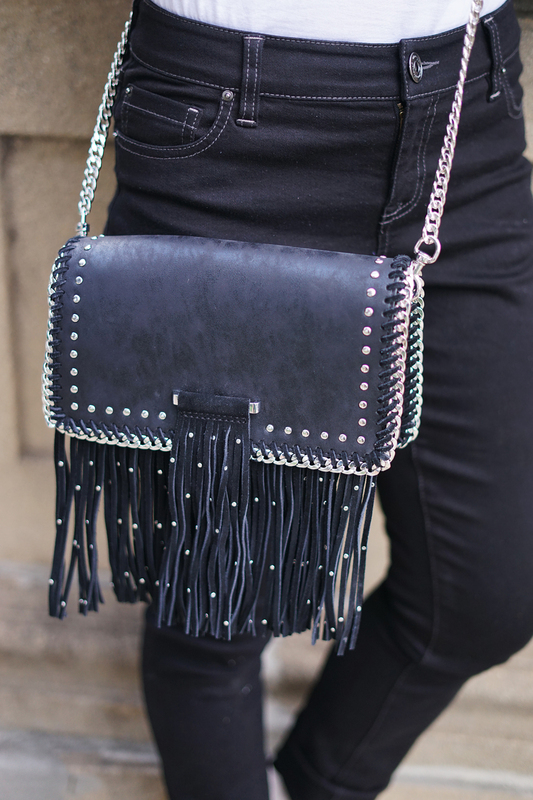 Studded and fringed crossbody bag.